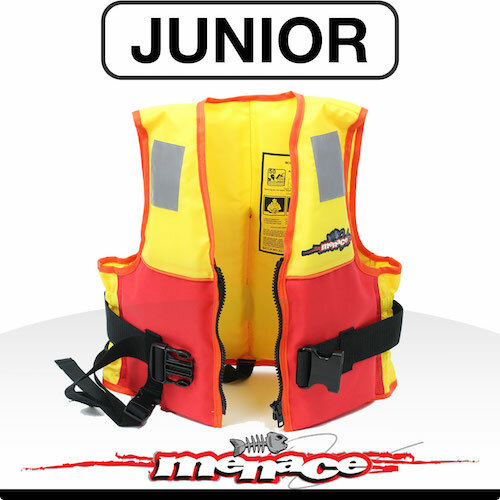 From our experience, your child should be at least 3 years old to best fit this jacket. 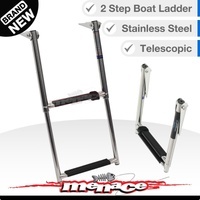 Good value and seems well made. 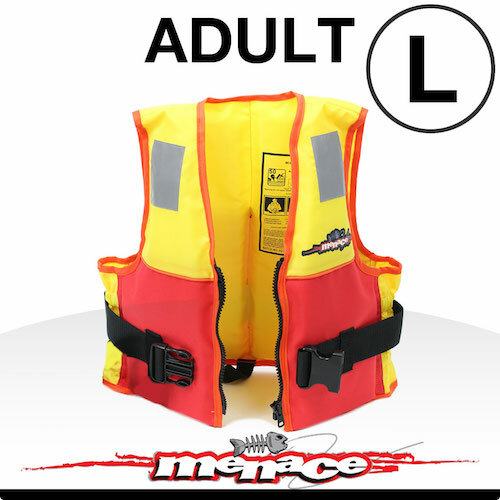 I purchased this life jacket on eBay from Menace Marine for my grandson to wear when doubling up in my kayak and my daughters stand up paddle board. 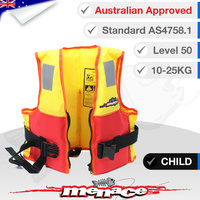 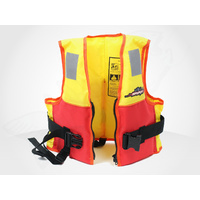 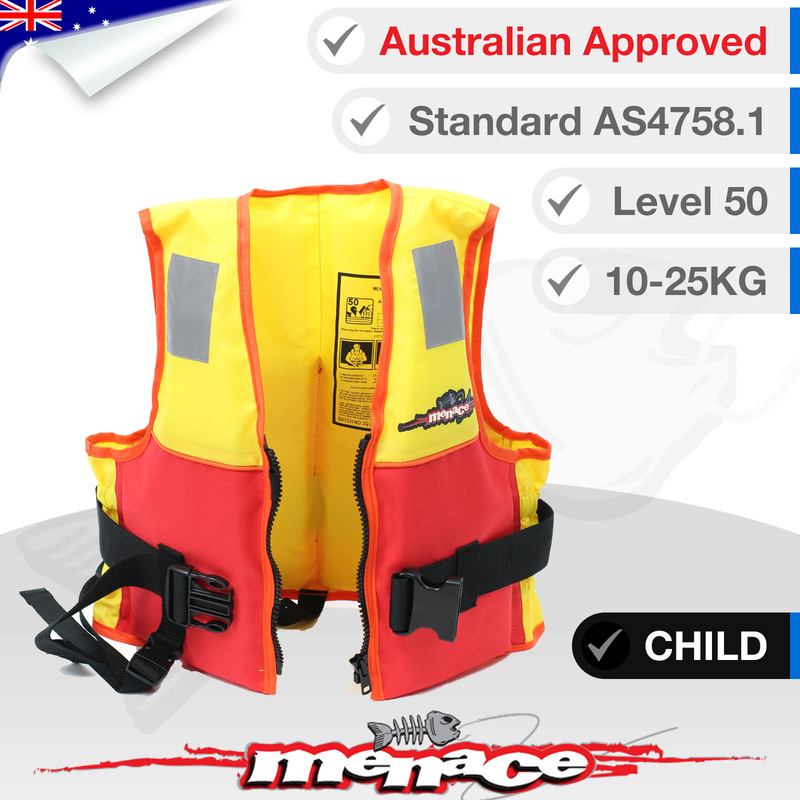 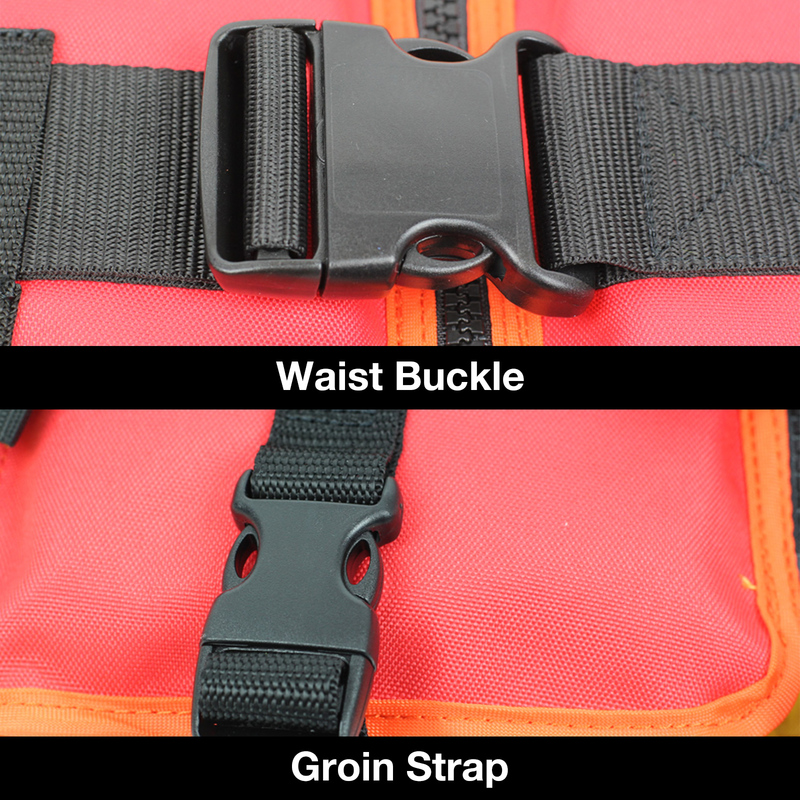 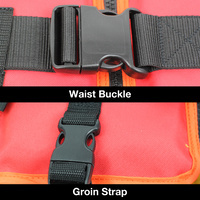 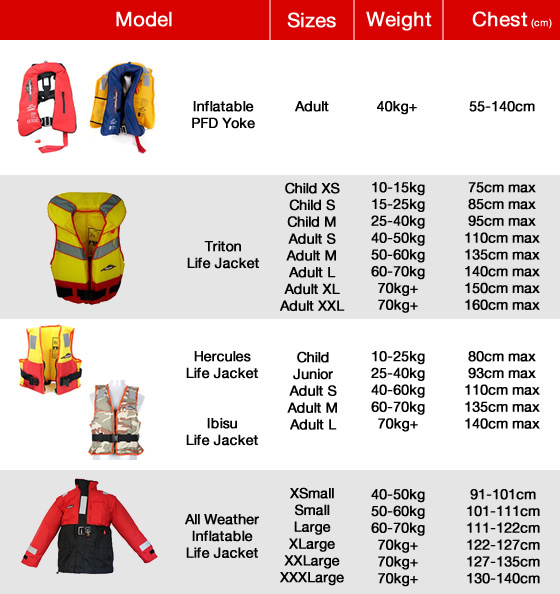 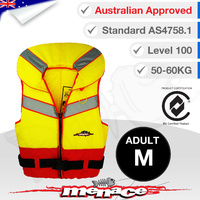 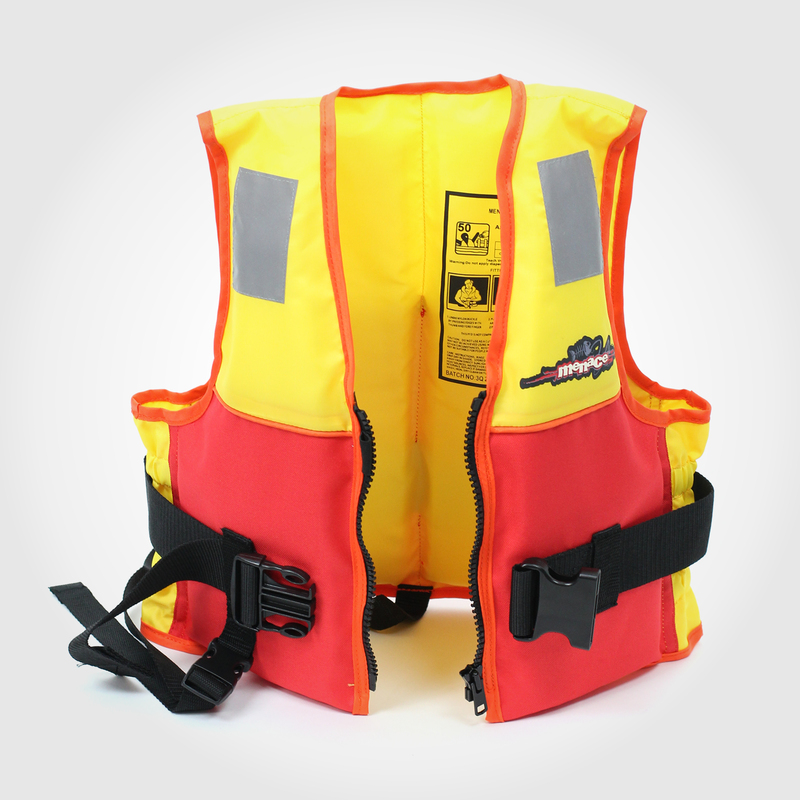 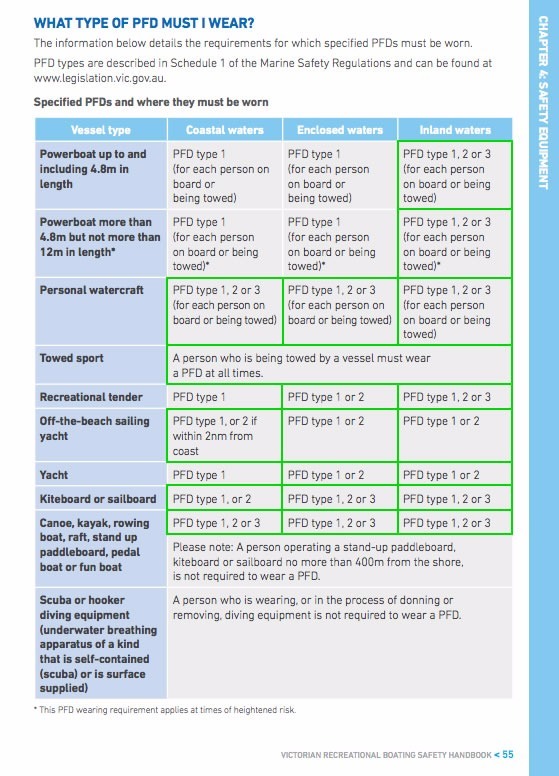 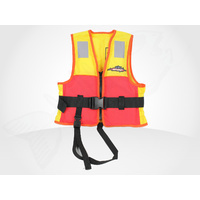 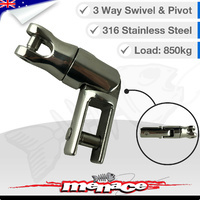 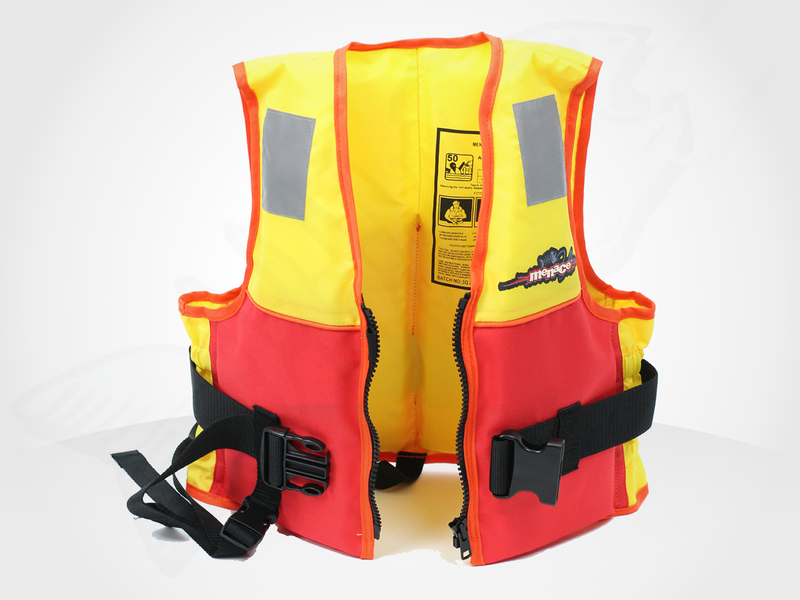 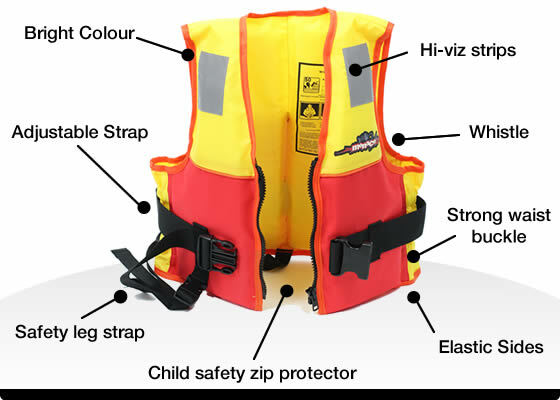 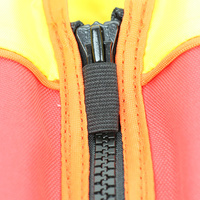 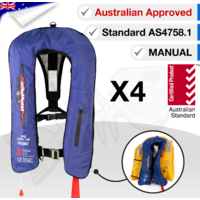 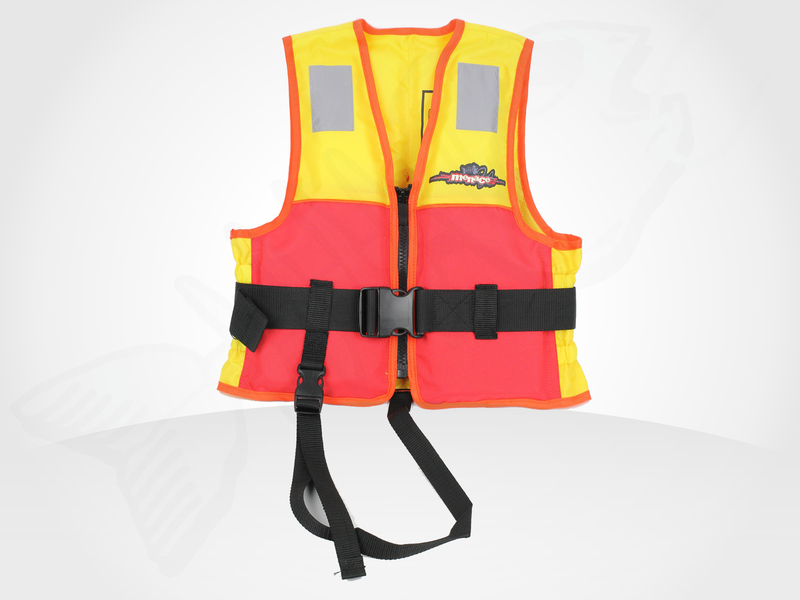 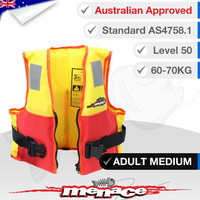 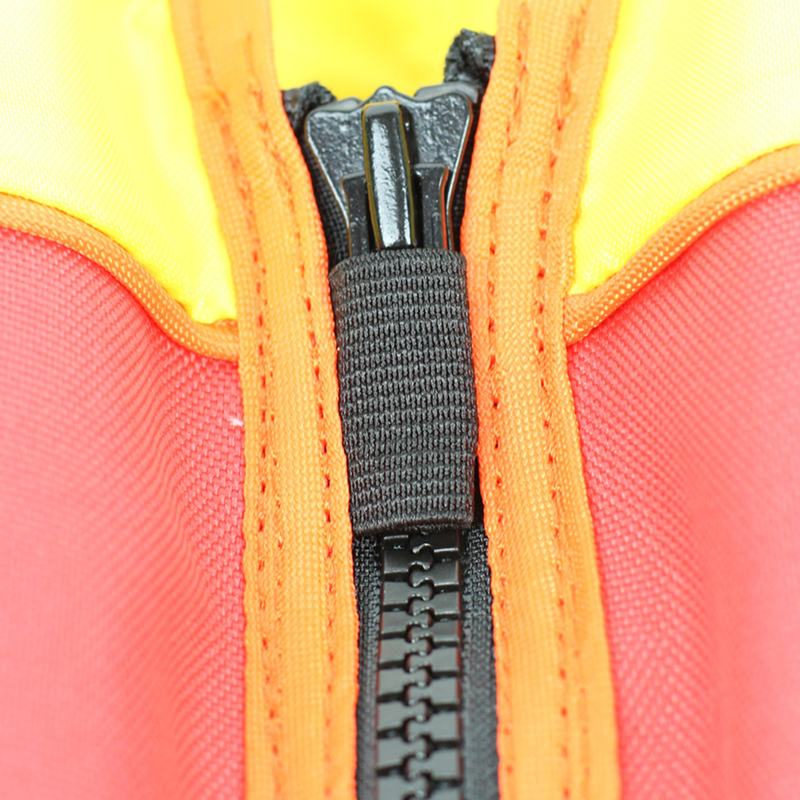 At $38 delivered it is good value, is of good quality and meets the Victorian marine regulations standard. 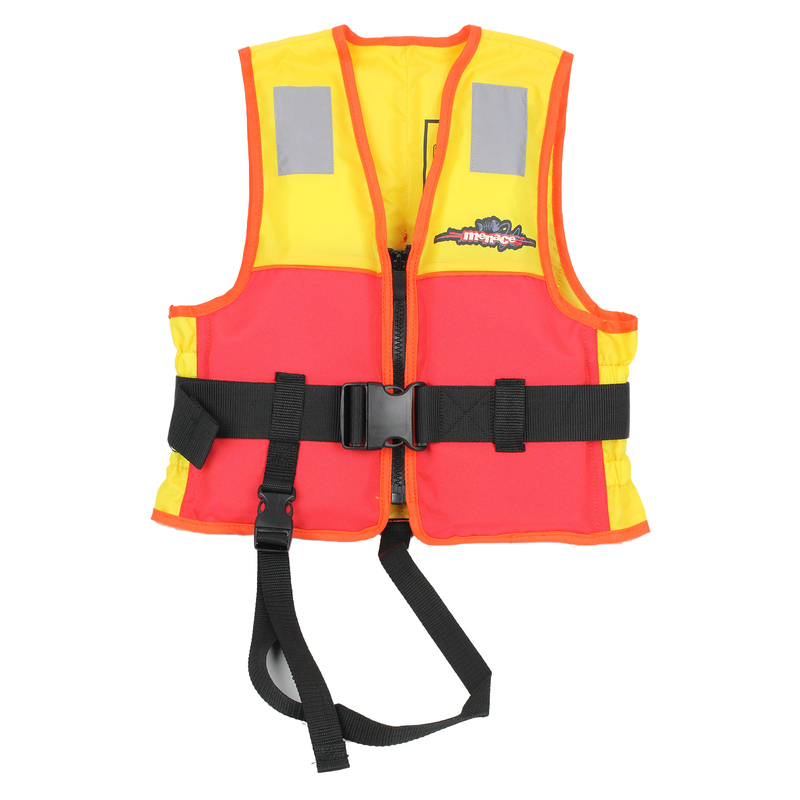 My almost 4 year old grandson tried it out for buoyancy in the bay today (shallow water) and it works fine.